On August 4, 2010, Assemblymember Kenneth Zebrowski (D-New City), introduced A11684. The proposal to ban a veterinary care option available to dog owners in consultation with their veterinarians criminalizes humane "bark softening". Accomplished by licensed veterinarians, the procedure is an unusual measure occasionally used as a last resort by dog owners desperate to prevent uncontrollable, loud and frequent barking which has become an issue with their neighbors and within their communities. A11684 subjects both dog owner and veterinarian to severe sanctions and penalties. The American Veterinary Medicine Association policy does not support proposals such as A11684. For a further analysis of this unreasonable and pointless curtailment of the ability of caring dog owners to humanely and safely address an unusual and intractable behavioral issue, please refer to Dog Federation of New York member Susan Beals' analysis of the misrepresentations, weak basis in "fact" and unanticipated negative consequences of Assemblymember Zebrowski's poorly-considered proposal. The Dog Federation of New York always encourages dog owners to be sensitive to the concerns of their neighbors and community. When other measures have failed, "bark softening" may be the last option for dog owners struggling to keep a beloved pet in their home, and out of over-burdened shelters which may have no choice but to kill a dog that barks too much. 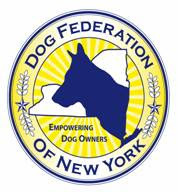 The Dog Federation of New York is a coalition of individual dog owners and dog-related organizations devoted to responsible ownership, with a membership that spans the State of New York. We are committed to helping legislators respond appropriately to the concerns we all share, including providing for the public’s health and safety while addressing concerns on animal welfare issues. We recently read of the award you received from the Humane Society of the United States, and whole-heartedly applaud the compassion for animals conveyed by your remarks. However, we fear you may be unaware of the facts concerning the Humane Society of the United States. 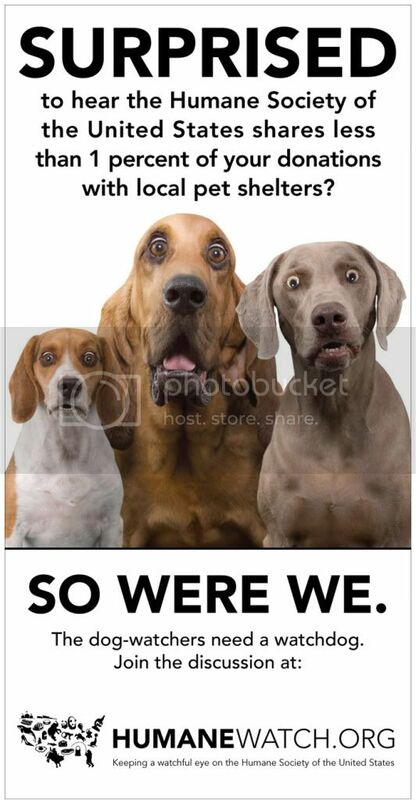 Despite its name and much of the language used in publications and on its website, HSUS is not an umbrella group of local shelters and animal rescues. A recent poll indicates that the vast majority of Americans mistakenly trust that contributions to HSUS will be used to shelter pet animals, but this is almost never the case. HSUS does not operate a single shelter for pet animals anywhere in the United States, and devotes less than 1% of its budget to hands-on care for pets. Since late 2009, more than 5,000 citizens have requested that the IRS investigate HSUS’ tax-exempt status in light of what appears to be excessive lobbying activities in state capitals across the country, including Albany. HSUS is the subject of a federal lawsuit brought by Feld Entertainment and Ringling Brothers Circus alleging RICO crimes on the part of the Humane Society of the United States, its attorneys and several other radical animal rights groups. The Humane Society of the United States is an extremist animal rights organization led by individuals whose agenda is deeply at odds with the values of New York citizens and voters, and the needs of the pets and animals they love. Senator Stavisky, our members believe that all responsible and caring owners of animals share a concern for the well-being of pets, work companions and livestock, and we support legislation and legislators that further the goals of animal welfare advocacy. Based on the above, unfortunately, it is clear that the Humane Society of the United States is not an ally in this cause. We urge you, as well as all public officials elected in the State of New York, to remember that your mandate is to represent the public's best interest. Please consider carefully both the organization and the policies it advocates. We believe there is an undeniable discrepancy between HSUS's outward veneer and the reality that lies beneath the surface. That's what further restrictions on New York pet breeders lead to. Empty collars are what unwarranted restrictions on pet owners and breeders promise. Don't be fooled. The muscle behind these proposals comes from radical animal rights organizations, not New York's millions of pet owners. The Humane Society of the United States isn't your local animal shelter and the restrictions and regulations they advocate won't protect the health and welfare of animals. 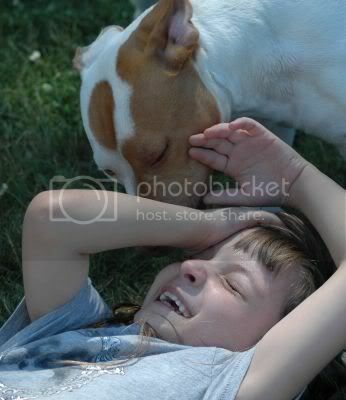 New York dog owners and breeders care about animals. HSUS doesn't. A7285/S5392 targets moderate-sized breeders, sports and hunting kennels, and boarding facilities by making simple custody of "too many" intact dogs (or cats) illegal. Lobbied hard by the Humane Society of the United States, the proposal creates a brand new crime: custody of healthy, happy, well-cared for dogs and cats if you happen to have "too many." The bill permits animals to be seized and sold off -- or even killed -- before their owner has his/her day in court. The Humane Society of the United States pretends the bill addresses abusive breeding facilities that violate existing state and federal law, but the proposal offers no new protections for animals. Buried in this mammoth proposal is the end to client or patient confidentiality for pet owners. The bill forces pet breeders to provide blanket authorizations for the release of their veterinary and private registry records for inspection by agents of the State of New York. More information on the many defects in the proposal here. Anyone who brings just three dogs or cats into the world is an instant "animal breeder" under this proposal, and instantly subject to six pages of regulations, restrictions, and inspections. Penalties for failure to comply with any provision included in the six pages go as high as $1,000 per violation. Think these proposals are scary? Outrageous? Completely unnecessary? Here's how to participate in the Dog Federation of New York's No Empty Collars Campaign. 1. Print out the Empty Collar Statement (cllick HERE to download), add your contact information, and sign it. 2. Get yourself a few dog or cat collars (available at many "dollar stores"). 3. If you want, add additional information or your own letter for legislators. Still have a few Empty Collars? Nothing but Empty Collars for New York pet lovers? Please join the Dog Federation of New York in reaching out to our elected representatives, and help us protect lawful and humane pet breeders. We believe that locally bred, locally raised dogs and cats are a reasonable choice for New Yorkers who want to add a pet to their families. Let's make sure that the future holds more than empty collars for us all. March 12, 2010: The Dog Federation of New York (DFNY) today expressed deep concern regarding Assemblywoman Amy Paulin’s proposal regarding security bonds requirements in cases of animal cruelty allegations, placed on the agenda for the Assembly Agriculture meeting of March 16, 2009. A9400 expands on a highly questionable existing state law allowing pre-trial, permanent forfeiture of valuable animals—personal property—if defendants are unable to promptly post high cost security bonds to cover the maintenance of impounded animals pending resolution of charges. Citing concerns of erroneous deprivation, a U. S. District Court in another jurisdiction struck down a substantially similar law on constitutional grounds in late 2009. Under existing New York law, defendants without the resources to post security bonds face immediate, permanent forfeiture of their animals to private impounding organizations before any action may be taken in their defense. Impounding organizations may then kill or sell off forfeited animals, retaining the proceeds for themselves. In direct contradiction to existing state law, Paulin’s A9400 enhances forfeiture proceedings by requiring civil servants--district attorneys on the public payroll—to represent the interests of private corporations during security bond hearings. In addition to illegally requiring district attorneys, charged with defending the interests of the people of the State of New York, to represent private, not for profit corporations (impounding organizations), A9400 also violates state law by requiring district attorneys to act in civil matters such as the security bond hearings proposed by the bill. Civil rights advocates also expressed concern that under the proposal defendants relying on public defenders must appear in court without the benefit of legal counsel during security bond hearings headed by district attorneys. Public defenders cannot act in civil matters in New York. A9400 requires defendants to cover the cost of maintaining animals no longer in their custody. New York State’s Criminal Procedure Law § 690.55 clearly places the responsibility for maintaining seized property on law enforcement personnel pending resolution of charges. S3155, Senator Craig Johnson’s companion bill to A9400, remains with the New York Senate Committee on Agriculture. The Dog Federation of New York is a statewide coalition of dog clubs, organizations and individual dog owners that serves the public interest by educating citizens and public officials on responsible dog ownership. DFNY advocates for dog-friendly, dog-safe communities for all New Yorkers, and strong, and humane dog-related legislation. DFNY is committed to working with public officials to address the concerns we all share. Post script: On March 26, and despite the many, many phone calls and emails sent to the NYS Assembly Committee on Agriculture by concerned New Yorkers, Asy. Amy Paulin's proposal was referred favorably to the Assembly Codes committee. Watch this space -- or join the Dog Federation of New York's email list (information in the sidebar at right) -- for further information on how to oppose this bill. The Dog Federation of New York expresses deep concern over the recent passage of Assemblyman Steven Englebright’s proposal to allow petitions for security bonds to be made by district attorneys on the public payroll when defendants are arraigned following allegations of cruelty to animals. Under existing state law, defendants unable to promptly post costly security bonds face immediate, permanent forfeiture of their animals to private impounding organizations before any action may be taken in their defense. In direct contradiction to existing state law, A3765 authorizes district attorneys, charged with defending the interests of the people of the State of New York, to represent private, not for profit corporations (impounding organizations). Existing state law also prohibits district attorneys from acting in civil matters, such as the petitions for security bonds covered by Asy. Englebright’s bill. Civil rights advocates also expressed concern that defendants relying on public defenders must appear in court without the benefit of legal counsel during security bond hearings. Public defenders cannot act in civil matters in New York. Under Assemblyman Englebright’s A3765 defendants are required to cover the cost of maintaining valuable animals no longer in their custody, or permanently forfeit them to a private corporation. The private corporation is then free to either kill the animals or sell them off and retain the proceeds, in contradiction to New York State’s Criminal Procedure Law § 690.55 which clearly places the responsibility for maintaining seized property on publicly employed law enforcement personnel pending resolution of charges. S5479, the Senate companion bill to A3765 sponsored by Senator Jeffrey Klein, remains with the New York Senate Committee on Agriculture. Help preserve civil rights in New York! Stop A3765 and S5479 ! DFNY prepared talking points and an analysis of A3765/S5479 and A9400/S3155 -- two other nearly identical proposals before the NYS legislature on pre-trial animal forfeiture provisions. The proposals are nearly identical in their negative impact on civil rights in New York. For talking points an analysis of Senate proposals, click here. For talking points and analysis of the remaining Assembly proposal, click here. Please immediately telephone or email the Chair of the NYS Senate Committee on Agriculture, Senator Darrel Aubertine, and ask him to stand up for civil rights in New York by holding Senate bills S5479 and S3155 in committee. Phone calls are best! Please also immediately telephone or email the Chair of the NYS Assembly Committee on Agriculture, Assemblyman Bill Magee, and ask him to stand up for civil rights in New York by holding Assembly bill A9400 in committee. Phone calls are best! Our concerns about the welfare of animals cannot drive us to surrender our hard fought civil rights! Ask Senator Aubertine and Assemblyman Magee to uphold the law!